How to Make Skittles Vodka In Your DishwasherIf you are over 18 that is! I know – right!? IN. YOUR. DISHWASHER!!! 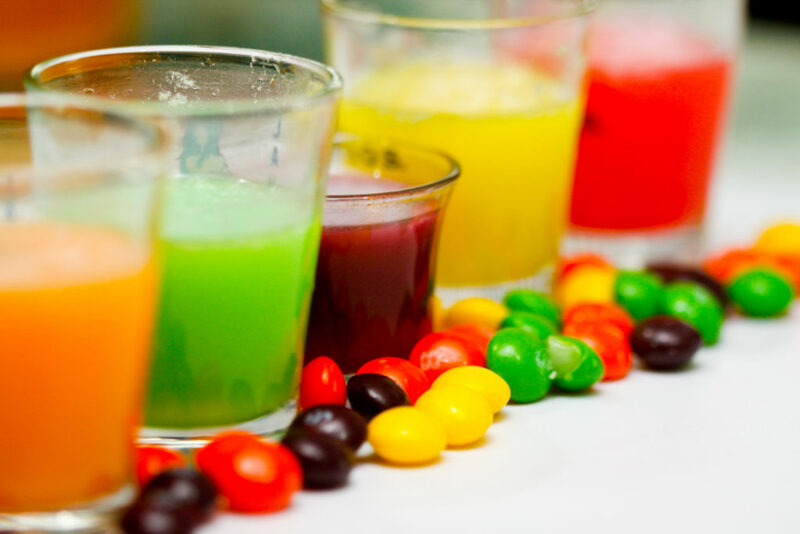 Keep the Skittles out of the kids reach because today we are going to show you how to make Skittles Vodka at home – and it looks FANTASTIC and is a load of fun (for the over 18’s that is!). Why the dishwasher? Well most sweet drinks (cordial etc) are made from a sweet syrup – which gives you the best end result – and usually that involves a lot of stirring and work with a saucepan. 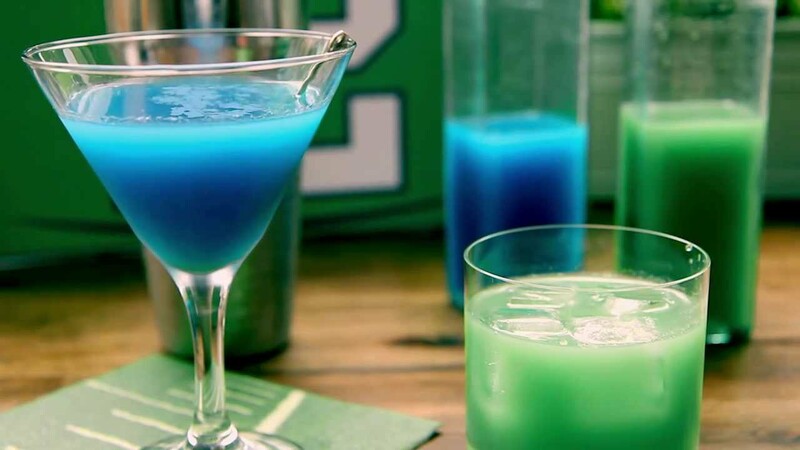 This way is really easy – because the heat in your dishwasher is actually perfect for making this drink! 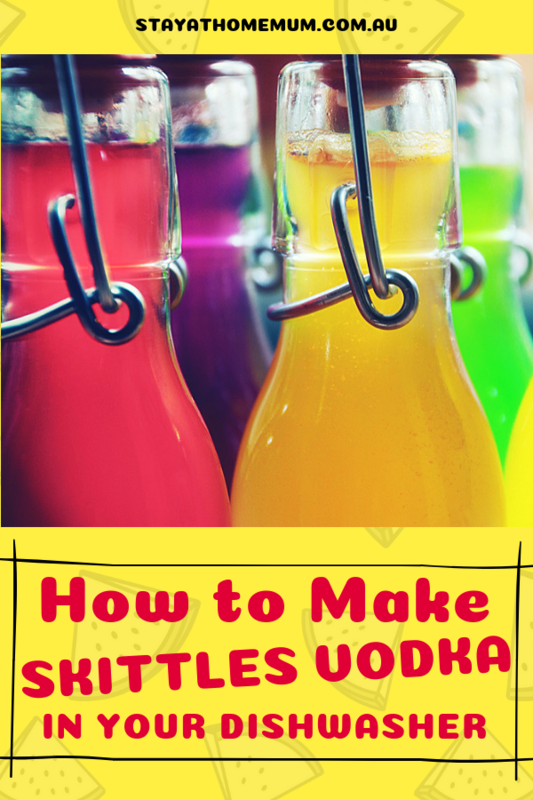 Of course you could only make one bottle if you so desire – but then you’ll have leftover Skittles!!!!!! Technically speaking – you should have 200 grams of each colour. Pour about 1/3 of each bottle out into another container. Then you need to add the individual coloured Skittles to the bottle. 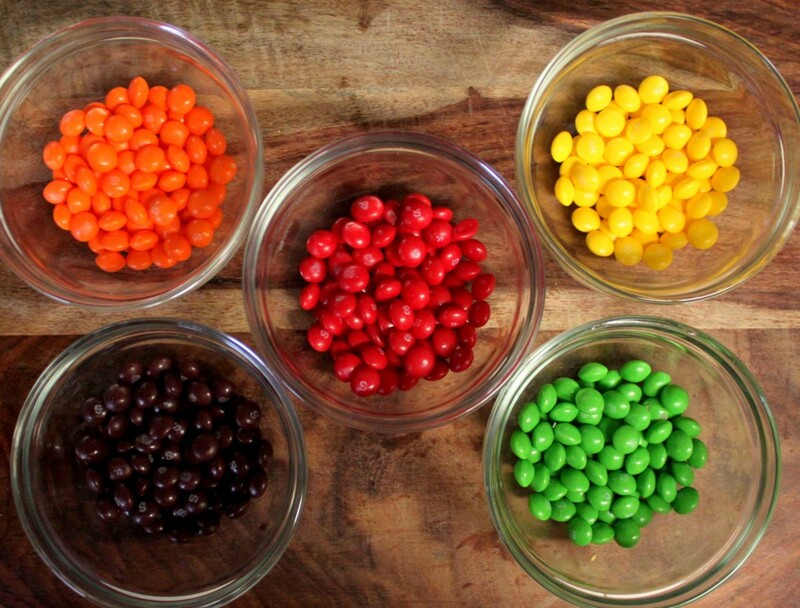 If the Skittles don’t fit in the ‘mouth’ of the bottle, crush them first (or put them in a blender for a second). Put the lid back onto the Vodka bottles very very tightly – and shake the bottles well for about two minutes!!!!! Wrap each bottle in some Gladwrap to prevent any spillage (we don’t want spillage – too expensive to waste! Place the bottles of sealed vodka into the bottom basket of your empty dishwasher. Don’t add soap! Put the dishwasher on the highest setting (that is the hottest) – and then wait for the magic to happen. When the dishwasher is finished – remove the vodka and take off the plastic wrap. Again give the vodka a shake. If there are any solid bits of the Skittles still left in the bottom, either run it through another wash, or strain it through a piece of muslin cloth. Allow the mixture to cool to room temperature, then top up the bottle with the remaining vodka from earlier, and chill until cold! 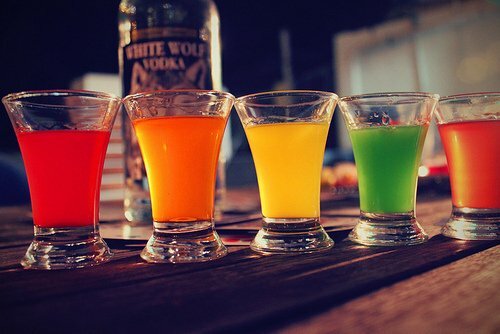 Step 5: Enjoy Your Skittles Flavoured Vodka! Keep it in the fridge or freezer (it is alcoholic – so it won’t freeze!). Enjoy with lemonade or soda water depending on how sweet you like your drinks! Go grab some vodka NOW!